Summer days are long and hot, but we can’t spend every waking minute in the pool or sprinkler, right? We’ve gathered up some fun projects you can do with the kiddos inside – perfect for rainy summer days. 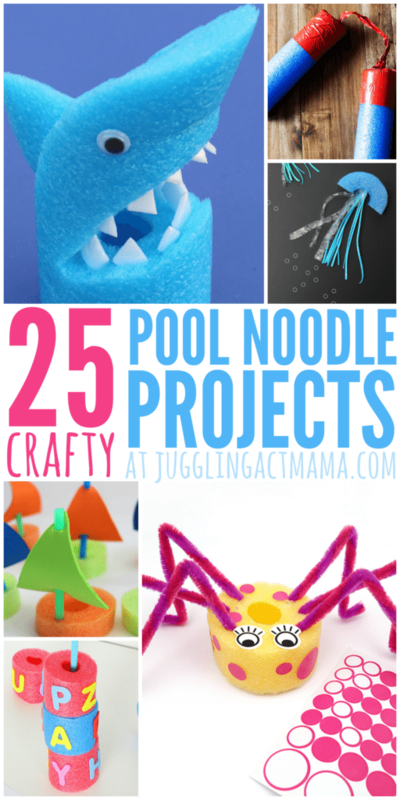 These pool noodle crafts are a fun way to bring the fun indoors this summer. 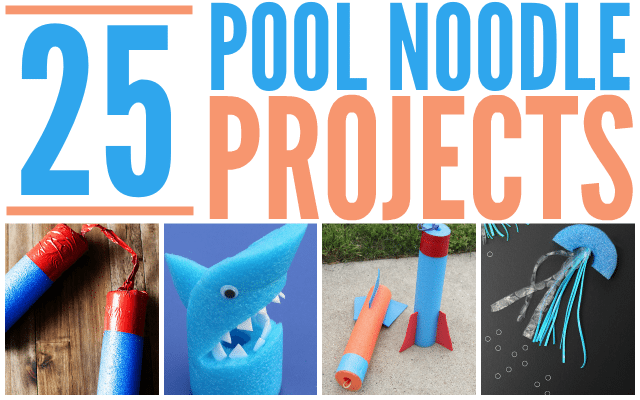 From rocket ships to marshmallow shooters, we’ve got fun stuff for the older kids. And for the little ones? How about some counting or alphabet beads? Check out all 25 below! How fun! Thanks for the clever ideas – can’t wait to check out some of these links!